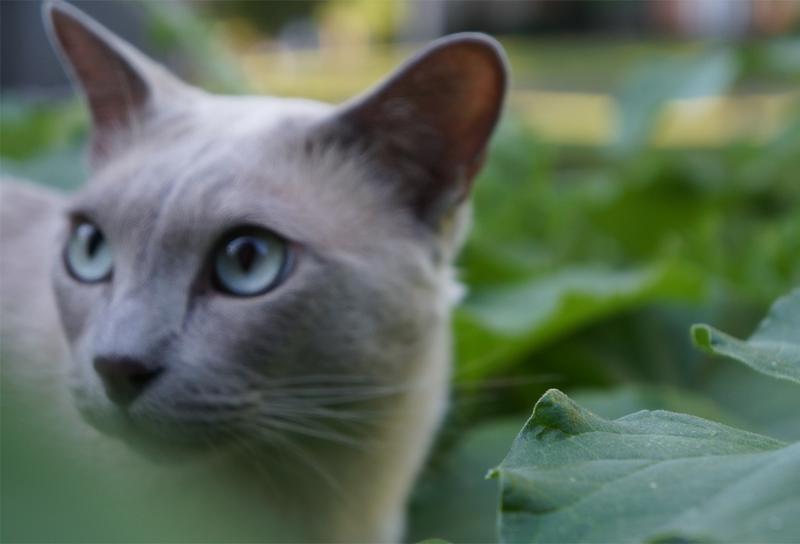 I know this shot of Faraday has him a bit out of focus, but I love the color and composition of it: the softness of the leaf in the foreground and the aqua of Faraday's eyes. Wait til it's red. It won't be that long. Our mom wishes she had some of those tomatoes. Max are you going to pick just the right tomato? They look like they will be fabulous when ready for picking and Faraday you look simply stunning. Max pal we need you over here the fox has had most of our toms. Have a wonderful Wednesday. If those 'maters aren't ripe yet, they ain't getting ripe! MOL! Yes, that pic is nice. Sometimes imperfect shots are still awesome! That photo of Faraday is very nice, even if slightly out of focus. I agree with you, it is one gorgeous photo, just superb! Is the tomato almost ready, Max? We love the ultra alert look on yer face! 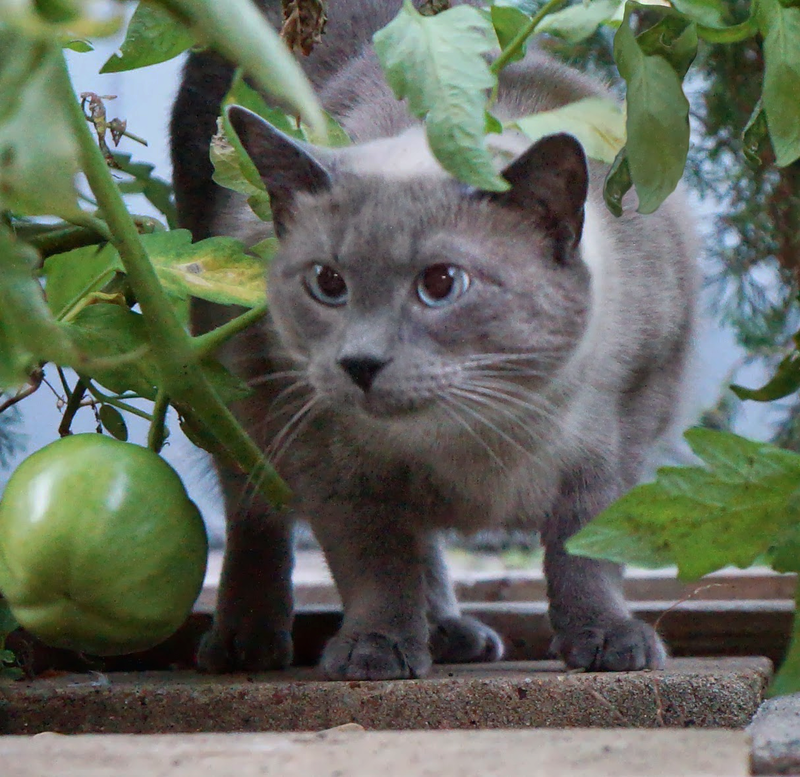 That 'mater needs ripening, Max! And we think that picture of Faraday is great! Max with your watchful gaze that tomato is sure to ripen. Mom agrees that fuzzy photos could showcase beauty. Beautiful pictures. Focus isn't everything and the colors are gorgeous. I just pulled our tomato plants out today. After a bumper crop, there were still plenty of green tomatoes on the vines. Love the photos! Happy WW!